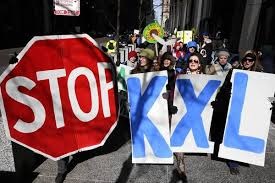 XL Pipeline: A Clear and Present Danger! Twenty-two people were detained in Chicago following a peaceful protest of the XL Pipeline last week. Many wore T-shirts that read, “If Congress won’t act soon to protect future generations, I will,” a pledge on climate change that Obama made during this year’s State of the Union address. But action has yet to materialize, and supporters are growing impatient. The president has a tremendous opportunity to reject this pipeline, since the decision rests with him, but we need to continue to push him. The administration will hopefully make a decision on the pipeline within the next few months, awaiting completion of a State Department environmental review. A draft released earlier this year, which the EPA criticized as “insufficient,” found no compelling reason to reject the pipeline. Fear that the State Department findings may pave the way for approval is creating a division between Organizing for Action (OFA), the former campaign army now promoting the president’s agenda, and other activists and donors who are frustrated with the administration’s reticence on Keystone as well as many other climate change actions. Exxon was ordered to pay $1.7 million fine for pipeline safety violations at its Silvertip pipeline in the Yellowstone River. The line leaked about 1,500 barrels of crude in the area. Three tank cars ruptured on a Canadian-Pacific Railway LTD. transport – spilling an estimated 20,000 to 30,000 gallons – or 475 to 715 barrels. 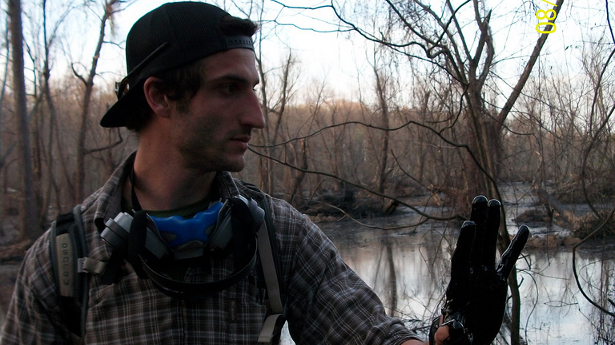 Exxon’s Pegasus pipeline ruptured on March 29, 2013 in Mayflower, Arkansas, spilling some 300,000 gallons of oil sludge (tar sands) in a residential neighborhood. TransCanada is no different from Exxon or Shell — which is having a hard time keeping track of its wandering oil rigs off the Alaskan coast. These are those that were reported. Who knows what other leaks, spills, or violations have occurred and were concealed? In the Arkansas rupture, there was a huge difference in what residents and citizen journalists captured on video compared to visual evidence presented by the local media. Exxon intimidated the media, even threatened reporters with arrest for asking questions on behalf of the public. Arkansas law enforcement officers were paid by Exxon to work as “private security” during their off-duty hours, still wearing their uniforms, creating a serious conflict of interest that blurs the lines between who they serve: the people of Arkansas or Exxon – the most profitable corporation in the world. This is a legal and ethical chaos that only benefits Exxon Mobil. Michael Hibblen (local reporter) explains what a day in the life of a reporter attempting to cover the Exxon oil spill is like. You can listen to the interview via Sound Cloud here: http://soundcloud.com/malagodi/hibblen-covering-the-mayflower. Unfortunately, many have been led to believe that the XL Pipeline is not only safe but beneficial! This is due to lies and distortion spread by certain media outlets and Big Oil. However, the non-partisan Congressional Research Service (CRS) has revealed that tar sands oil is more carbon intensive than conventional crude oil and would increase U.S. greenhouse gas emissions by “approximately 558,000 to 4,061,000 passenger vehicles” annually. Sean Hannity claimed on his Fox News program, that the pipeline would help “limit our dependency on foreign oil” [Fox News, Hannity, 8/2/12]. – Ignoring that the pipeline would transport Canadian tar sands oil, not oil mined in America. Fox Business’ Gerri Willis claimed the pipeline “would help us as a nation become more energy independent” [Fox Business, The Willis Report, 1/23/13]. – What pipeline advocates – including big-oil lobbyists and House Republicans who have tried to force a favorable decision – fail to mention is that most of the tar sands oil refined on the Gulf Coast is destined for export, most going to China. Another myth perpetrated is the Keystone XL would create tens of thousands of jobs. But according to Cornell University Global Labor Institute (Sept. 2011) KXL’s job creation potential is relatively small, and could be completely outweighed by the project’s potential to destroy jobs through rising fuel costs, spill damage and clean up operations, air pollution and increased GHG emissions. 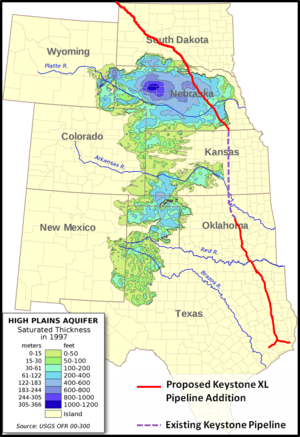 A major concern is that the Keystone XL pipeline route crosses the Ogallala Aquifer, which provides water for drinking and irrigation for over 2 million people. A spill there could pose huge health risks. In some sections, the groundwater lies so close to the surface that the pipeline would run through the aquifer instead of over it. And there will be spills – tar sands oil is more corrosive than conventional oil, which would make the Keystone XL pipeline more prone to leaks. The Keystone XL pipeline has already spilled 12 times in its first year of operation – including one major leak of about 21,000 gallons in North Dakota. Since 1990, pipelines in the U.S. have spilled over 110 million gallons of crude and petroleum products. It’s clear that just tweeting to John Boehner to “stop denying the science of climate change” will not have an impact when those who already acknowledge the real and present danger of greenhouse gas emissions, like President Obama, won’t act. It’s highly unlikely that the majority is going to change in Congress, and certainly no action is going to be taken by this Congress on climate, so it’s really the president who needs to step up and STOP THE XL.